The trustees of the Emergency Service Show charitable trust would like to thank all the volunteers and exhibitors for their continued commitment in supporting our very popular event, held this year on Sunday 16 September. 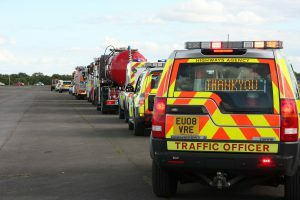 This year was no exception, with what is believed to be record crowds attending the Show at Cotswold Airport to meet and greet their emergency services and associated charities. The organising committee would like to apologise for the inconvenience caused to visitors and local residents by traffic congestion during the Show but this was due to circumstances beyond our control. 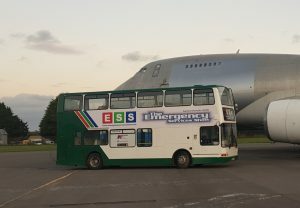 Despite payment and a contract being in place to use Kemble Enterprise Park for Show access, egress and parking, the site’s facilities manager refused to allow us to use our Traffic Management Plan at the eleventh hour and placed physical barriers in our way. This dramatically restricted our ability to bring the Show traffic off the main A429, and to implement our exit strategy. The traffic build-up was also compromised by the closure of the M4 between J17 and J18, and temporary traffic lights in Crudwell. We do not yet know why the issues on site happened, and we can only apologise for the impact on our visitors and the local community. As a volunteer committee, we strive year on year to improve every aspect of the Show but unfortunately, on this occasion, we were powerless to resolve the situation despite making every effort to find a solution at the time. Good morning, hope you have all slept well and wake up ready for the big show, weather is looking good and final preparations underway to welcome you to the event. Plenty of tickets available on the gate (Cash only please) the gates open at 1000 am for the public and we are looking forwards to a bumper day with around 200 exhibits and stalls and great displays all day. You can bring your own food onto site (no alcohol please) we will have picnic areas but food and drinks will be for sale from our vendors. Weather is looking good, ticket sales are going well and we have loads of new attractions for 2018 so come and join us for a great day out and show your support to those who support you when you most need them. participants are still providing operational cover for their respective services. Where possible, any significant changes will be announced using the public address system. Come and meet Responder Bill and the rest of the Wessex 4×4 Team at ESS 2018. 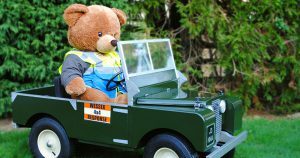 Wessex 4×4 Response is a charity made up of volunteers that can offer a variety of services to Local Authorities, Emergency Services and other Volunteer Agencies. Principally this is providing reliable transport in times of major emergencies and severe weather (snow & ice, gales, heavy rain and floods). 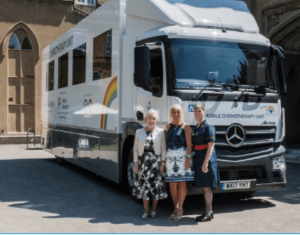 This can be to transport essential personnel or supplies to areas that would be hard or impossible to reach in normal vehicles, and also in support of emergency rest center’s set up by local authorities. 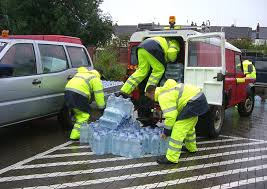 We can also provide assistance when an emergency response organisation’s own vehicle assets have been depleted by the demands made on them. 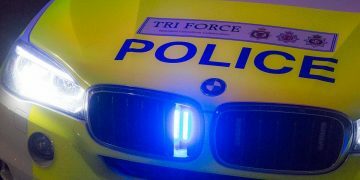 The Tri Force Roads Policing Unit will once again be at ESS 2018. These Officers are a combined unit from Avon & Somerset, Gloucestershire and Wiltshire Police and deal with all Roads Policing issues across the 4 Counties. Come and see their vehicles up close, get a ride on a “blue light run” and meet some of the team who keeps our roads safe. Coming to the Emergency Services Show allows you to meet the Emergency Services without having to be involved in an emergency. Have you ever wondered what happens when they are called to deal with a road traffic incident? Well you can see close up how all the services work together as a team in such life threatening situations in the safety of one of the showground arenas.